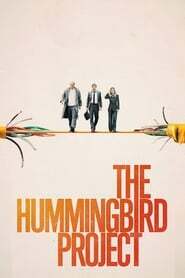 The Hummingbird Project is a 2019 Drama movie directed by . It stars Jesse Eisenberg, Alexander Skarsgård, Salma Hayek, among others. The Hummingbird Project is currently rated 7.3 stars on the ReelBugs scale. "Everything is on the line." How come this movie was/is nowhere to be found? I never saw it released anywhere? Is this based on Flash Boys. Loved this movie at TIFF! So excited to see it on the big screen again. Alexander Skarsgård was amazing and SO FUNNY! I am just a simple girl. I see Jesse Eisenberg in the thumbnail, I'm sold. You can hardly recognize Alexander Skarsgård! Good job! Love the trailer! well this looks boring as all get out..a movie about people buying property...oh boy i think ill pass. Who knows the song at 1:36 ??????? ?